Remodeling homes doesn’t come easy to most people. 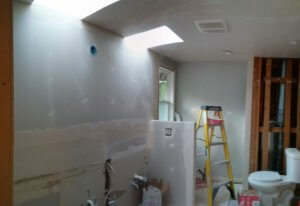 While many people like to be do-it-yourselfers, the quality of your work as a remodeler stands out. Like your quality of work as a residential remodeling contractor you need quality insurance coverage. Being in and out of people’s homes leaves you open to liability for the work you complete. Remodeling is by any means limited to the residential realm, commercial venues require remodeling as well. At AJ Morales Insurance we have the market for remodelers and offer assistance when it comes to insurance compliance required by any employer. Keep in mind there are many kinds of additional coverages that can be purchased to complement your general liability policy. Call AJ Morales Insurance in Houston today to get a quote on residential remodeling contractor insurance!